Built into every fuel transfer pump, chemical transfer pump and meter is over 50 years of experience—and the pride and workmanship associated with the moniker Made in USA. We use only the most durable materials to insure long life and dependability. Fill-Rite and Sotera branded products deliver superior performance time and time again, regardless of the application or installation. 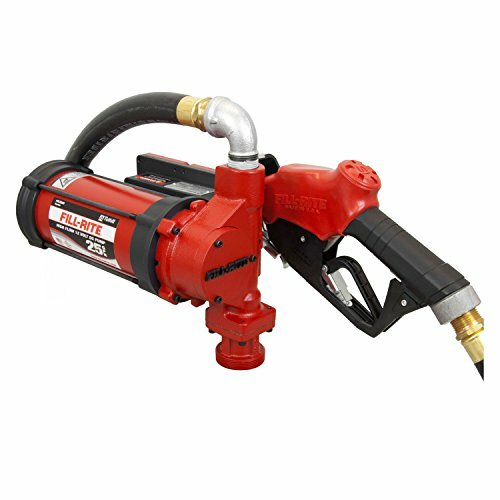 The FR3200 Series offers two options: the FR3204 (pump only) and the FR3210B, which includes a 1-inch ultra-high-flow automatic nozzle and an 18-foot, 1-inch hose with a static wire. Fill-Rite also offers a wide range of accessories that can make your job even easier. The FR3200 is compatible with their 900D and 901 Series Meters. Speed, mobility, flexibility, reliability-the FR3200 brings it all to the job. And best of all, it's a Fill-Rite, the best value in the pump industry, made right here in the USA.